If things continue at this rate, the next open letter might be a letter stating that we have violated Serzh Sargsyan’s employment rights. This is what Prime Minister of Armenia Nikol Pashinyan told journalists on 15 April, touching upon Deputy of the Prosperous Armenia Party Gevorg Petrosyan’s open letter stating that the employment right of the employee at the automobile customs house of Noragavit has been violated. 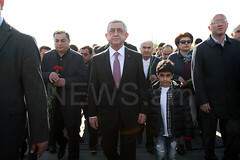 “I believe if things continue at this rate, the next open letter might be a letter stating that the government has violated the employment rights of Serzh Sargsyan because, in accordance with the Constitution, he was not subject to impeachment a year after being elected Prime Minister,” Pashinyan said. He claimed that if a customs officer doesn’t respond to the Prime Minister the way he or she is supposed to respond to the Prime Minister, then that customs officer won’t respond to a citizen in any way. 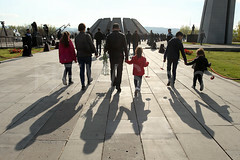 The Prime Minister stressed that a good specialist can never have any problems with employment in Armenia.